Our sun has only been around for 4.5 billion years — which means it missed the cute early years of the Milky Way galaxy. If you were standing on a planet 10 billion years ago, when the Milky Way was relatively young, the night sky would have looked very different. The above image is an artist's impression of the night sky on a planet in a young Milky Way-type galaxy, the way ours was 10 billion years ago. You can see "the sky are ablaze with star birth. 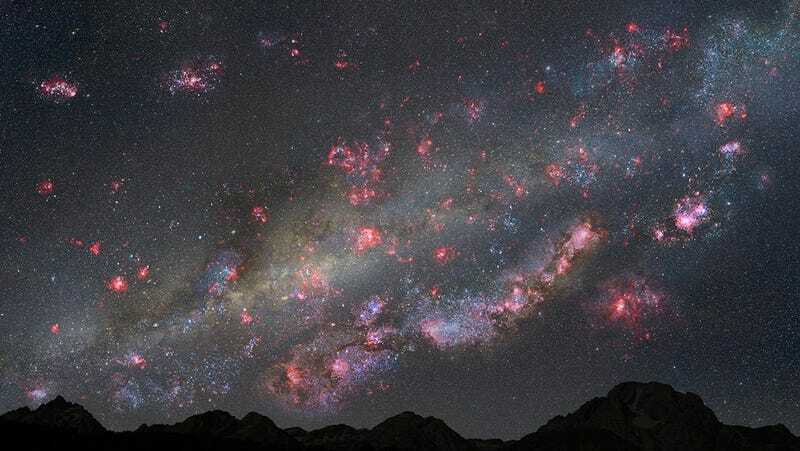 Pink clouds of gas harbor newborn stars, and bluish-white, young star clusters litter the landscape," as NASA explains. Read a lot more about this in the NASA release.